This post is sponsored by Off Campus Parking. BFF in town? Parent’s visiting for Homecoming? Terps, fear not. These top College Park restaurants feature just about every ethnicity and style of food you can imagine. From bagels and vegan cookies to go, to classic diners to homemade authentic cooking. It may not beat mom’s chicken soup, but it will save your taste buds from four years of flavorless chicken at the dining hall. Lucky for you, a College Park alumni started Off Campus Parking (OCP) to give you the most convenient way to park nearby all your favorite eats. Book a monthly membership on Spot Hero. Check out 21 College Park restaurants every Terp loves. Chilly January evenings call for something better than instant Ramen packs. Go for real flavor—shredded chicken and wanton, curry seafood or roast duck noodles. If you call yourself a spice-lover, then try the spicy wontons in hot oil. 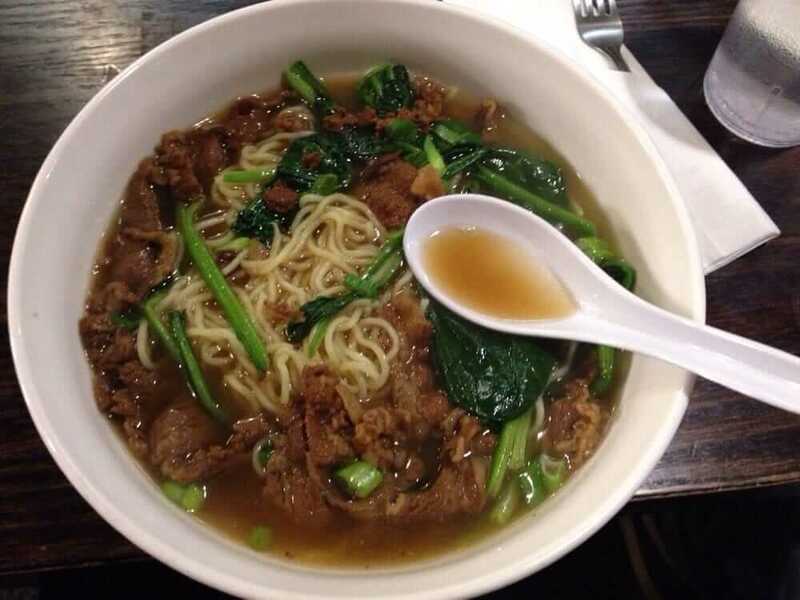 “I love [Ivy Noodles’] curry beef noodles. It’s not for everyone but it’s special to me ‘cause I eat there with my parents a lot,” said junior Judy Chen, a team member of Spoon University. Right on Baltimore Ave, Ivy Noodles makes for a quick trip for high-quality ramen. Indian, Mexican and American food join forces at Krazi Kabob for a spice-tacular experience. “[Krazi Kabob’s] Desi food is really good but they’ve sort of Americanized it so it’s super unique,” said sophomore Yasmeen Brooks. “For example, they have these chicken/aloo wraps and then they have samosa chaat and Desi nachos.” Talk about intense spicy and savory flavors all in one meal. When the late-night munchies kick in, chicken tikka masala and guac hit the spot. 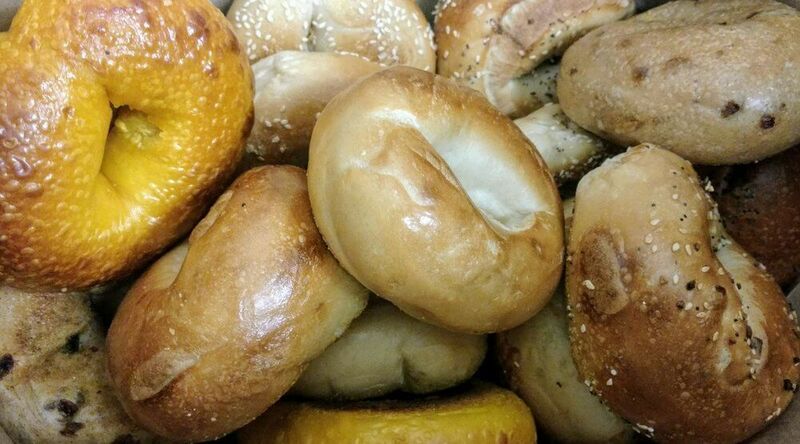 Halt your everlasting search for the perfect East-Coast bagel right at Bagels n’ Grinds. Prepare for house-made cream cheese—the strawberry one has actual strawberry chunks—and stacked bagel sandwiches. Open at 6 a.m. every morning and across the street from campus, Bagels n’ Grinds’ cozy fireplace, comfy seats and local Joe gives us motivation to get out of bed and tackle that reading before class. You can also build a salad or warm your soul with some mac and cheese or soup. But honestly, we’re drooling over the Bronx Tale hot baginni sandwich with turkey, peppers, onions, provolone and herb aioli. No need to binge on Riverdale to get that 60s diner feel. Instead, take your 1 a.m. hunger pangs to College Park Diner. “The amount of food you get for the price is well worth it. It’s not like a chain restaurant where it seems like it all came out frozen. Everything to the chocolate milk is made there, making breakfast food acceptable any time of day,” said Jasmine Namata, Treasurer for Filipino Cultural Association. And the best part? 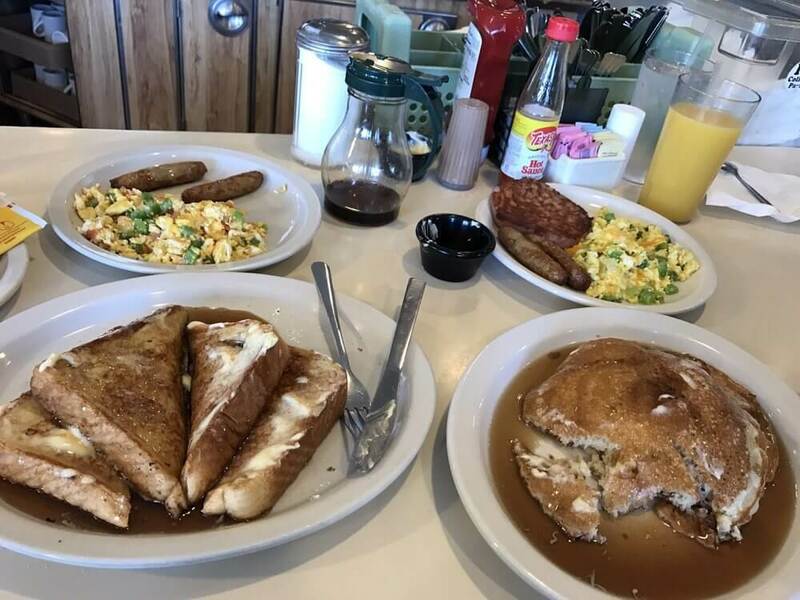 The CP Diner stays open for 24 hours so you can down an order of biscuits with gravy, hash browns and waffles while cramming all night for your biochemistry exam. Save yourself a trip to Ocean City and head to this quirky restaurant on Berwyn Road for seafood inspired by Turkish street food. “They have these fish tacos, which can be tilapia, salmon or bass based, and they are so soft and savory. They aren’t too pricey for freshly caught fish either so it’s a gem!” said Namata. Not in the mood for tacos? 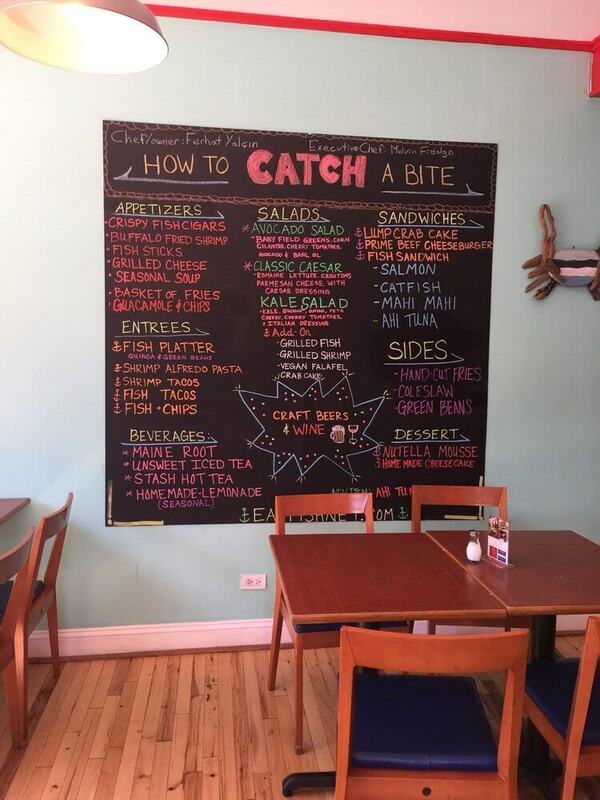 Peruse through the colorful chalkboard menu alternatives like buffalo fried shrimp or classic fish and chips. Eating here feels like you’re sitting in a cute coastal seafood shack, not in the middle of bustling College Park. Craving Greek food? Cue Marathon Deli, an institution at UMD. Snag a value meal of beef and lamb gyro with fries as a declicious filling lunch between classes. Or devour kotopita (strudel filled with chicken and mashed potatoes) or Greek pizza topped with as mushrooms, pepperoni, olives and sausage. You can also get fries and Herr’s potato chips with Old Bay seasoning. 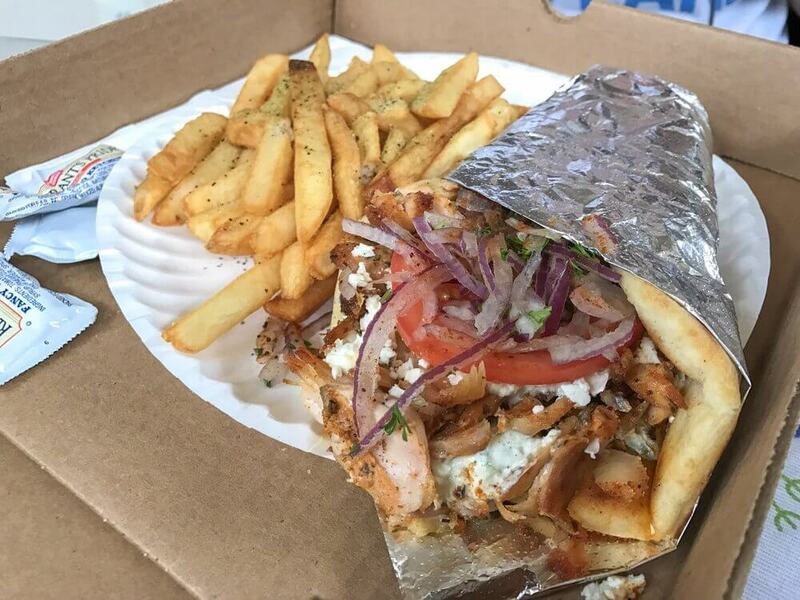 You can’t call yourself a UMD student if you haven’t eaten a gyro with Old Bay chips—or anything covered with Old Bay seasoning for that matter. UMD Terps scream for ice cream, too. Head to Stamp to grab something sweet at the infamous Maryland Diary. 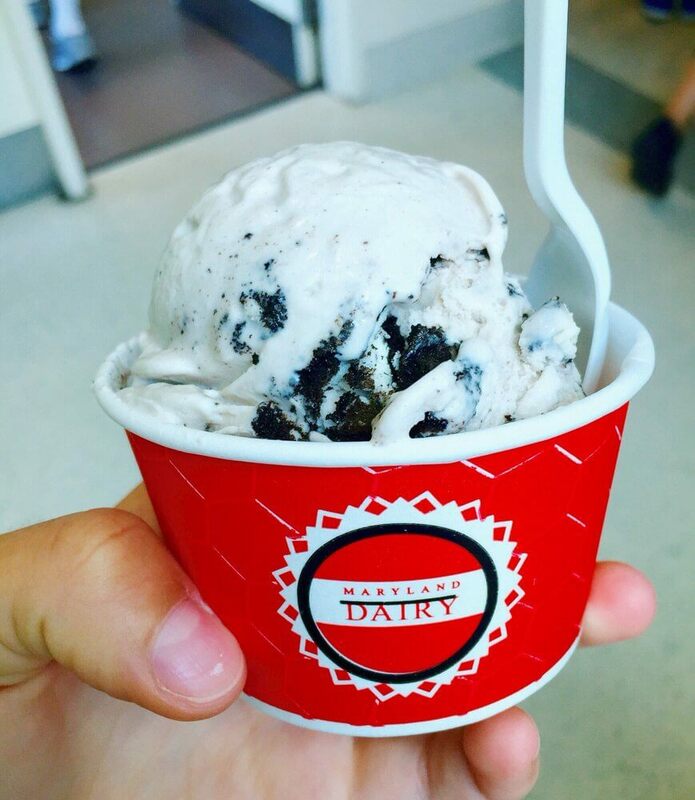 The Dairy first opened in 1924 with endless options for ice cream lovers. “I love the double fudge brownie. I would also recommend cookies & crème, it’s a classic and one of my other favorites,” said sophomore Kerri Simmons. Worried about spending your money? The Maryland Dairy takes your dining dollars so you can spend your cash flow on more important things like ice cream cones for the half-gallon tub you can take back to the dorm. On a Friday night, you’ve exhausted all of your pizza options. 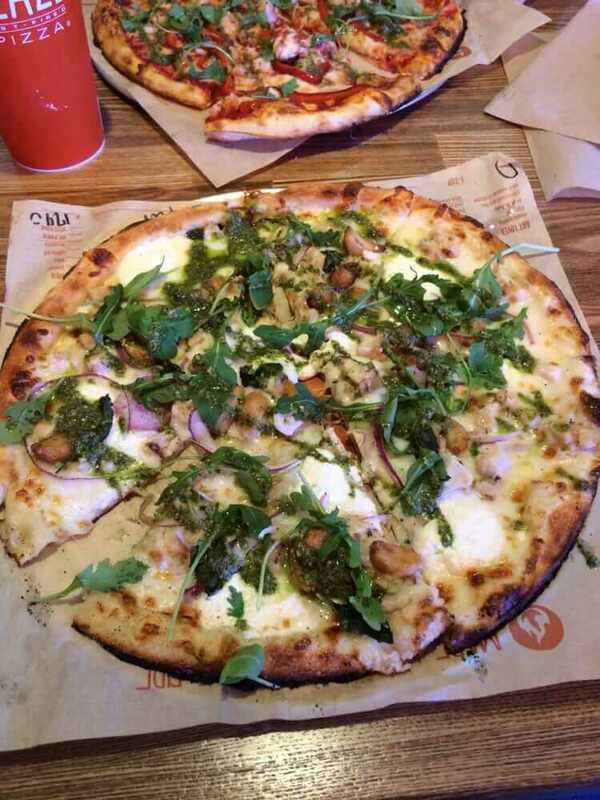 You could sit in the dining hall and cry over your greasy slice or head to Blaze Pizza on Route 1 for quality. “There used to be no stone fire grilled pizza places on campus before this one, just your typical Dominos, Ledos and diner pizza. I love how you can pick your toppings and types of pizzas. You can literally eat it every day and have something different every time,” said Brooks. As a busy college student always looking for place with a wide selection, a $10 specialty pizza equals heaven. At least here you have control over your life, even if it’s just your dinner. For authentic, almost-homemade Asian food, Terps head to Shanghai Tokyo Café. “It’s super close, right under The View apartments so you could walk there or take the bus,” said Barakat. “It’s small and cozy and usually has a few people. They have great sushi and Thai food.” Can’t decide what to get? Chen recommended the green curry, which comes with a bigger portion than the one at Pha Thom. Did you buckle down this weekend? If you were locked in the library from sun up to sun down, then come Sunday morning, you’ve earned the ultimate brunch. 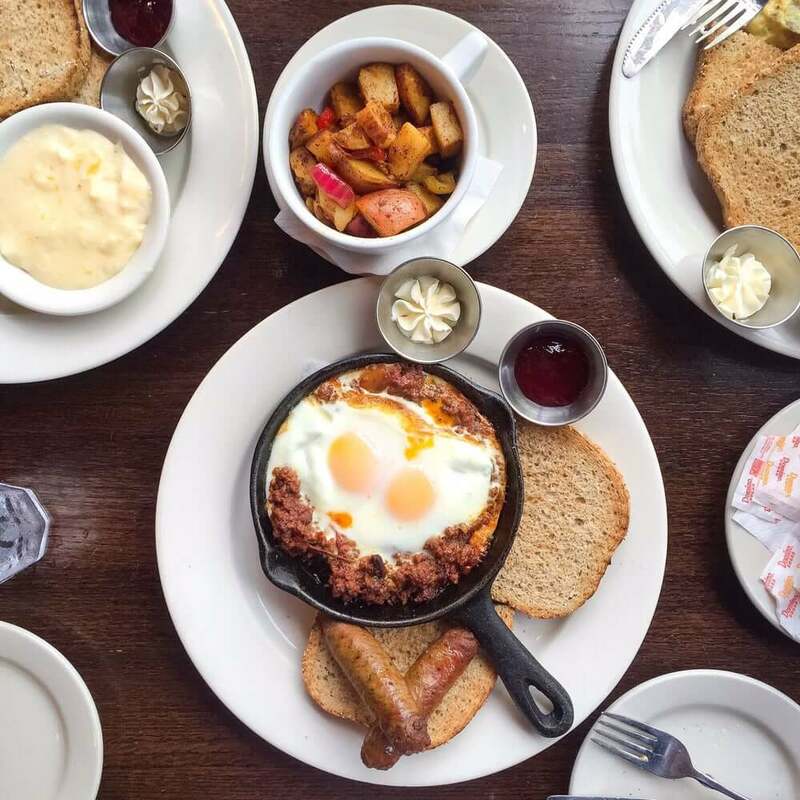 Board and Brew’s Pancake Breakfast will ease your weekend FOMO with three buttermilk pancakes, two eggs and some apple-wood smoked bacon and sausage. Relax on the sofas and chat with friends to catch up on the latest gossip. 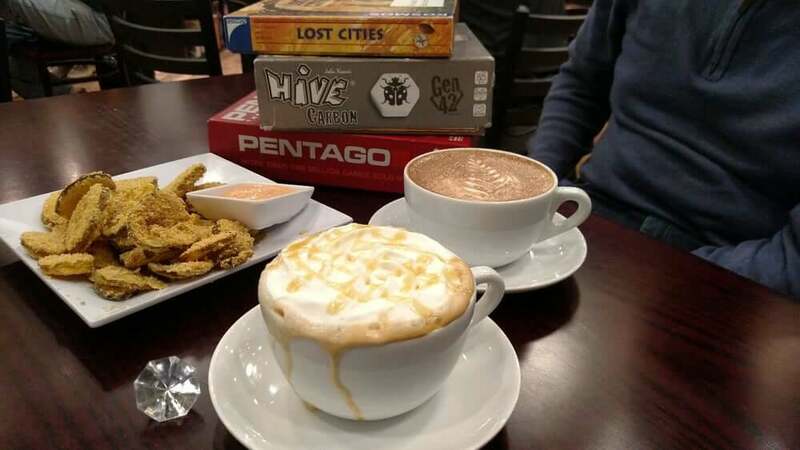 Board and Brew’s bookshelves packed with board games easily turns your catch-up sessions into fun, old-school competitions. Gooey chocolate chip cookies perfectly complement any late-night study sesh. And Insomnia Cookies is open until 3 a.m. Basic chocolate chip lover? Insomnia’s got that covered. Or get indulge with double chocolate mint or peanut butter chip. 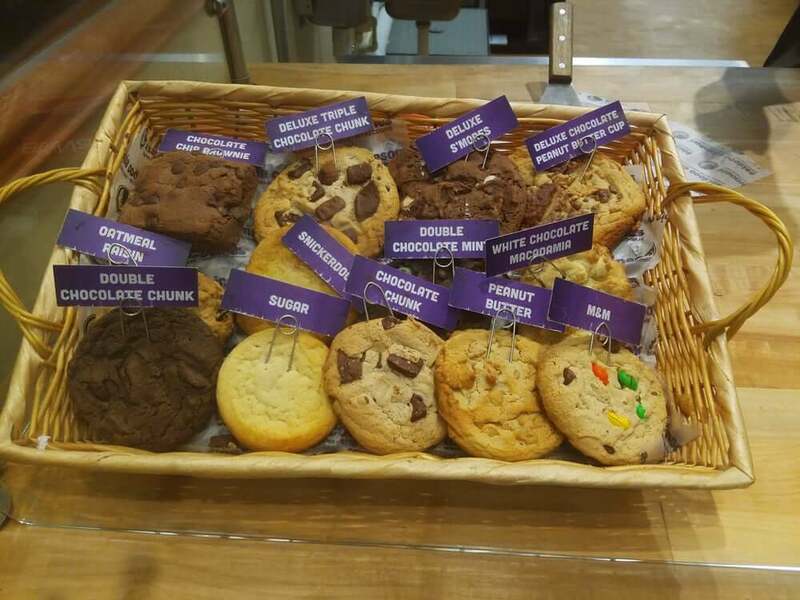 For those with an ultimate sweet tooth, Insomnia’s ‘wiches let you build an ice cream sandwich with a scoop of ice cream and two cookies of your choice. Go for that 1 a.m. cookiewich of vanilla ice cream sandwiched between snickerdoodle and M&M cookies. You know you want it. Bet you won’t find Peruvian chicken this tasty on UMD’s campus. This restaurant brings together the spicy flavors of Peru and the hearty South for a dance party in your mouth. “Whether you’re taking it to go or dining in, the Peruvian-style chicken is a fun change when you’re tired of the dining hall but want the feeling of a Latin grandma’s home cooking.” said Namata. Charcoal broiled chicken with coleslaw, green beans and sweet plantains? Yes please! Do you crave a warm, piping hot bowl of Noodles while procrastinating on your 10-page essay? 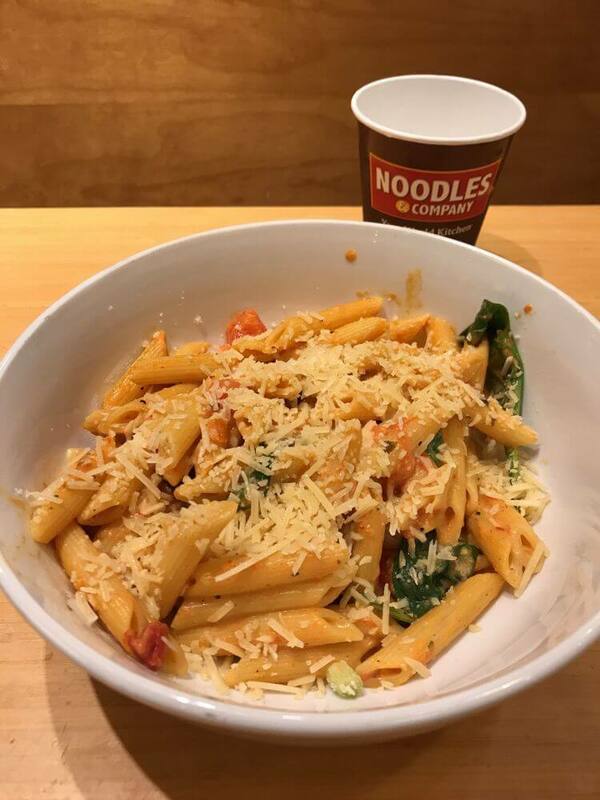 Noodles and Company on Route 1 will save both your stomach and your grade for under $10. Go for a classic Wisconsin Mac and Cheese or spice things up with Penne Rosa or Pad Thai. If you obsess over anything pasta, buy everything on the menu and stack them in your fridge. That way, you never go hungry again—at least this semester. It’s a Tuesday night, and you and your friends just completed your history midterm. 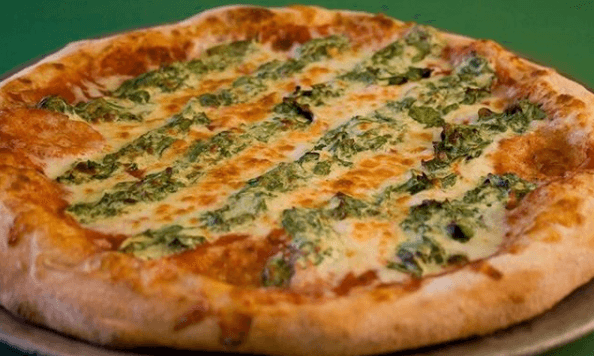 Celebrate your brief moment of relief at Potomac Pizza on Route 1. On Tuesdays, customers who buy a large pizza get a second large cheese pizza for 99 cents. “I’ve had it and I like it a lot,” said sophomore Taylor Kinnucane. “They have a pretty big menu.” Hmm, we can’t decide if we want the Hawaiian with pineapple, bacon and mozzarella, or the Ultimate Potomac Pizza with anchovies, black olives, bacon, green peppers, beef, mushrooms, onions, pepperoni and sausage. Have someone in the group not in the mood for pizza? Junior Helena Ottaviano, who brings her family to Potomac Pizza, recommended a wrap. “They have a really good chicken caesar wrap,” said Ottaviano. Instead of McKeldin again, change up your scenery at Busboys and Poets. “It’s like a 10-minute drive from campus,” said aKDPhi President Michelle Cho. Dissect your latest Plato reading while surrounded by delicious fair-trade coffee or tea. In the wintertime, your philosophy reading pairs well with a cup of hot chocolate or a thin mint latte. “It has really good dinner options, like pasta, and yummy brunch.” Not sure what to eat while studying? “My favorite food there is their chicken nachos,” said Barakat. Now that’s what we like to call foodie motivation. Bet you didn’t know that this popular furniture stores also sells mouth-watering affordable food. 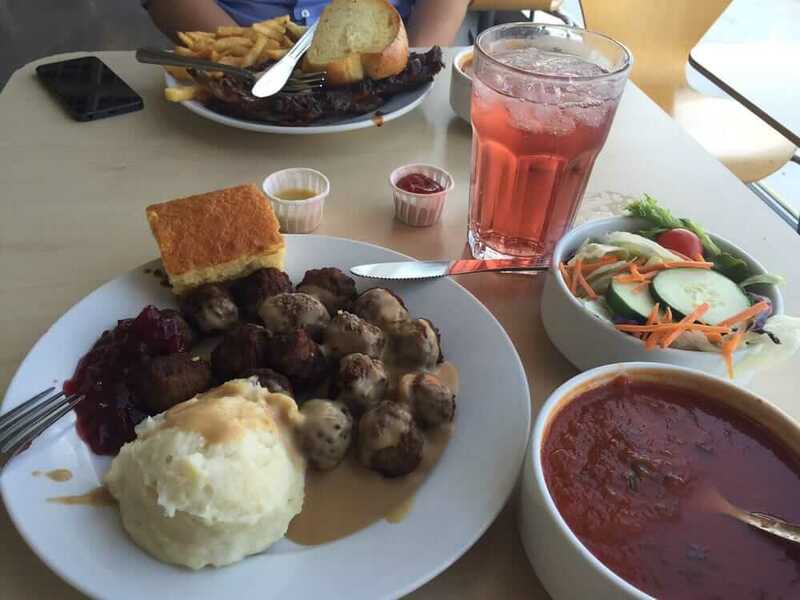 If you feel fancy, head to the café by the children’s section for specialty meals like hot Swedish meatballs or Salmon. It’s the perfect pick-me-up while out shopping for your new off-campus apartment. Want to take more than Ikea furniture back home? Their little shop by the entrance lets you buy groceries like frozen Swedish meatballs (when you just can’t get enough) and jelly cookies. 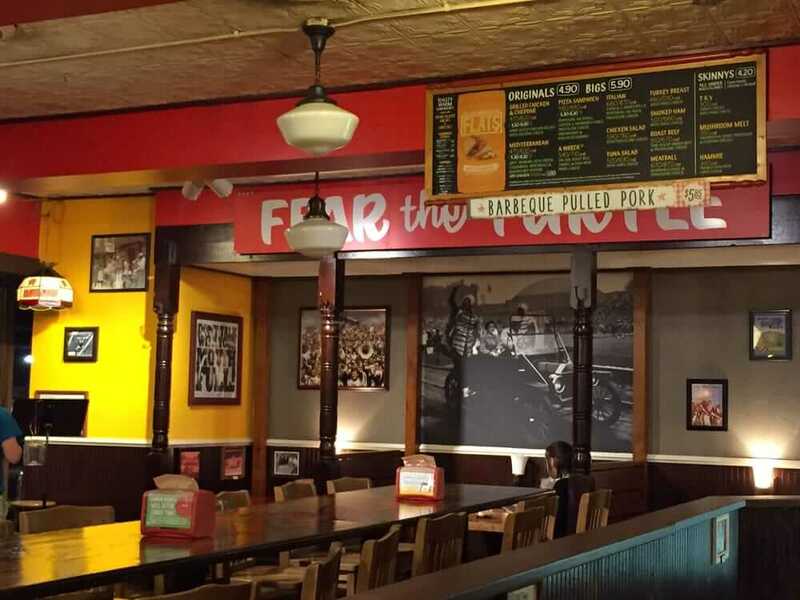 The Potbelly’s right on Route 1 offers sandwiches, salads and milkshakes perfect for any hungry Terp. As soon as you enter the golden yellow and olive green restaurant, you know you can get any sandwich your heart desires, like the pizza sandwich with pepperoni, meatball, capicola, marinara sauce, melted provolone cheese, mushrooms and Italian seasoning. Never leave out the Italian seasoning–so good! It definitely beats your basic dining hall deli sandwich. Potbelly’s even sell baked goods like brownies or marshmallow treats to go along with your milkshake. 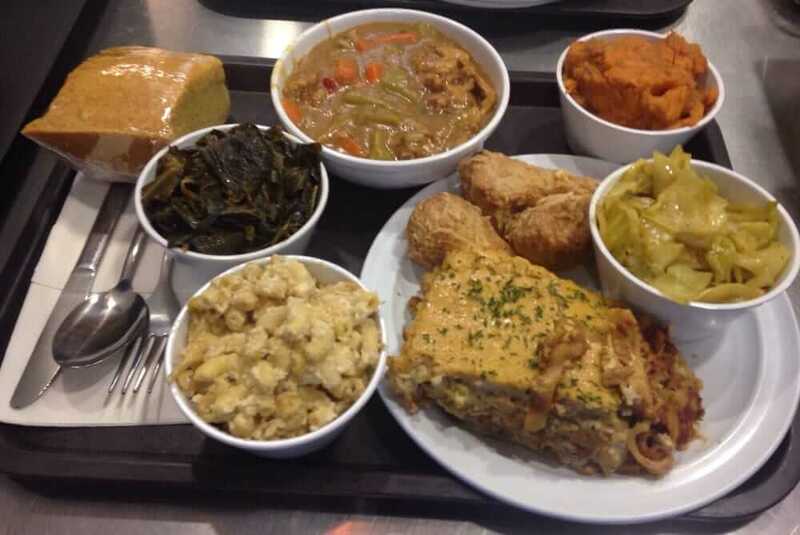 This restaurant on Route 1 serves as a safe haven for vegan lovers everywhere. And it satisfies non-vegan eaters looking for variety. You can’t even tell the difference between regular mac and cheese and their vegan mac and cheese. NuVegan also serves vegan omelets, oatmeal and cheesy grits. Try a vegan smoothie or shake. They even sell desserts like cheesecake and cinnamon rolls to satisfy all your cravings. Who knows—it might convince you to go complete vegan. 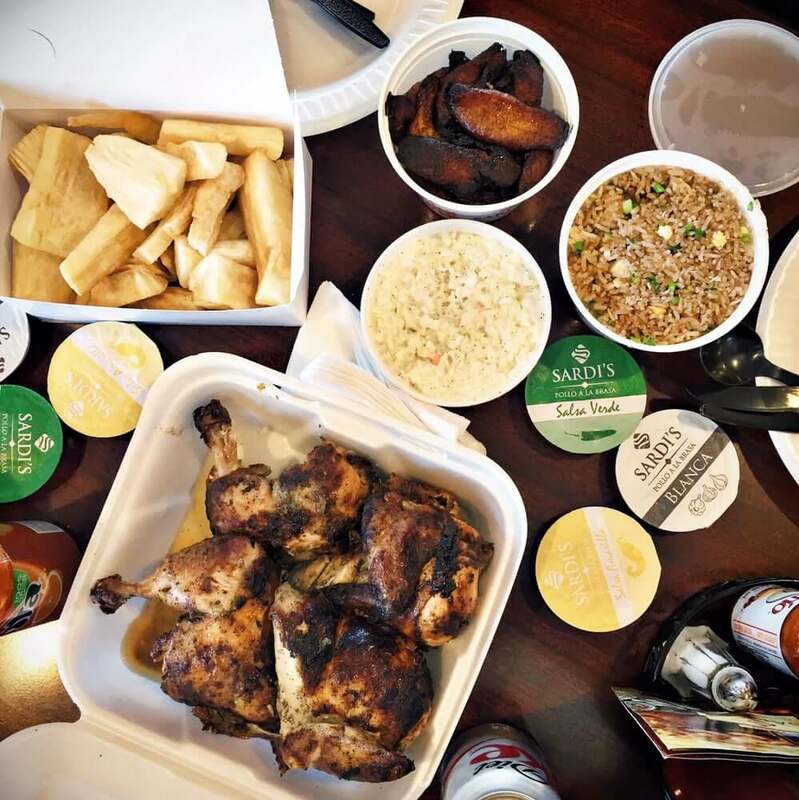 Who can say no to fantastic jerk chicken, rice with peas and plantains? 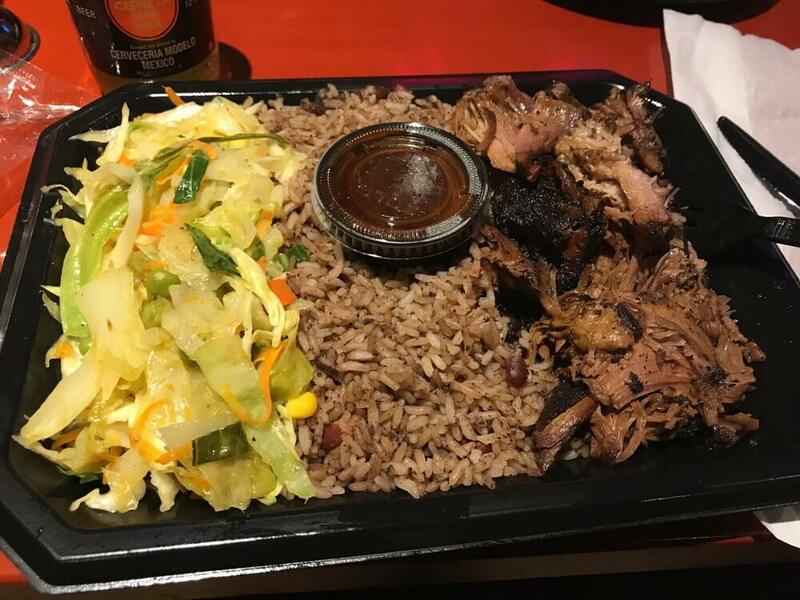 For anyone craving Jamaican food, this hot spot offers meals under $15 that last for both lunch and dinner. 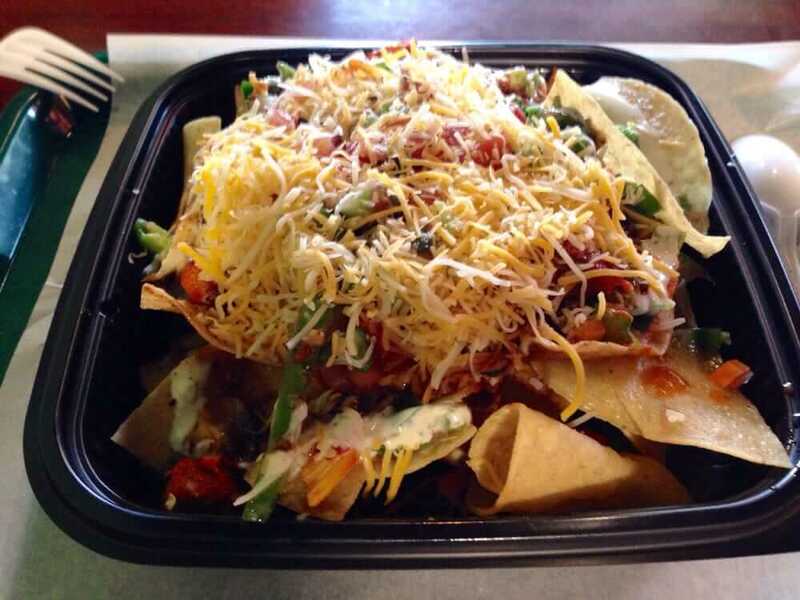 You could order take-out and share with friends. Or you can sit in the outdoor patio and eat your jerk wings and mac and cheese with reggae music playing in the background. And they say there’s no heaven on earth. Hanami, a sushi institution in College Park, satisfies every roll combo craving. Come for the spicy tuna rolls please and stay for the fried ice cream and Thai ice tea. 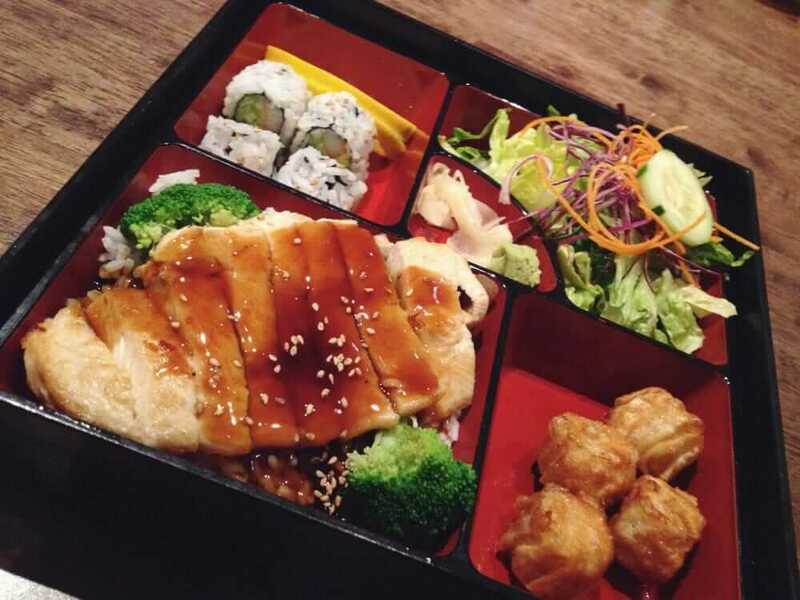 If tonight isn’t a sushi night, then order a piping-hot ramen or a bento box meal. 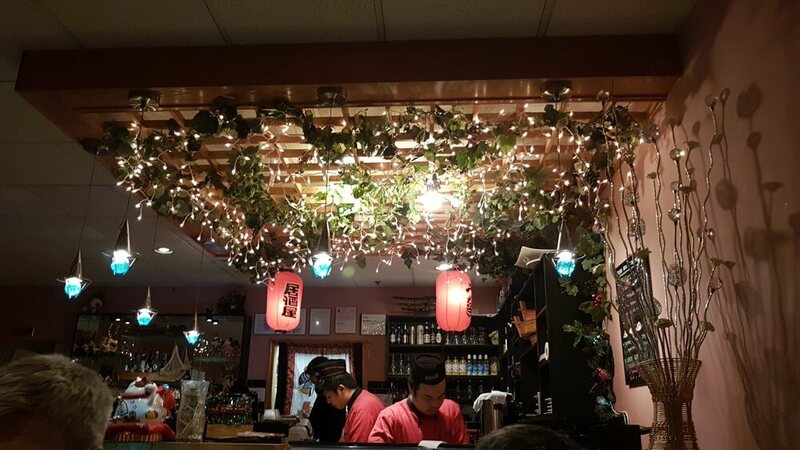 And with the string lights on the ceiling above the sushi bar, you’ll actually want to stay in this cozy restaurant instead of eating sushi alone in your room. Make it a night out with your squad. Round pizza is basic. 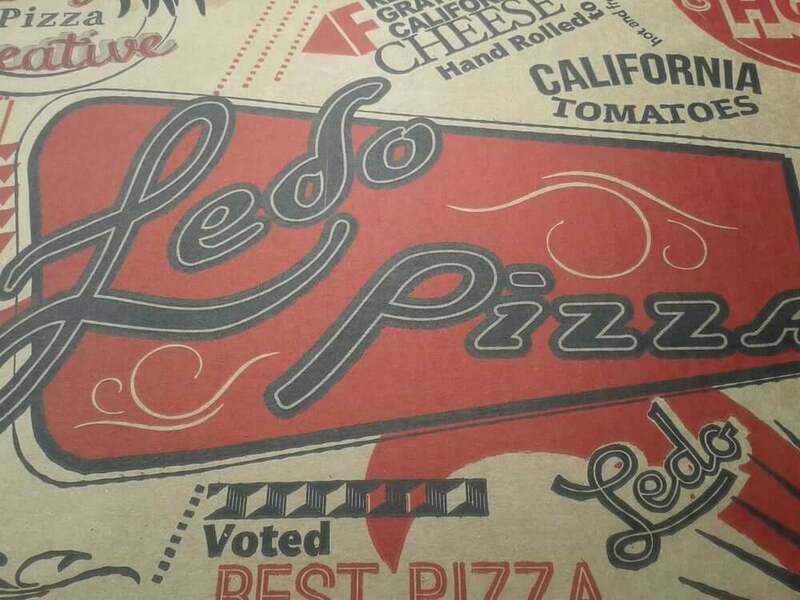 Pizza at Ledos is anything but. It’s rectangular, crispy, flatbreaded goodness. Open since the 50s, many a Terp has brought their class crush for a first date here. Talk about College Park history. Order carry out for your latest group cram session and impress that cutie in your group who didn’t know you were so hipster. Stick with the pizza for a low-key night or dial up the romance with a plate of spaghetti and meatballs. UMD alumni, Sam Medile knows just how hard it is to find a solid parking spot at your favorite College Park restaurants without the fear of a $75 ticket. His new solution, Off Campus Parking (OCP) offers a more flexible and convenient option. Where can you park with OCP? Go to SpotHero and book your spot.